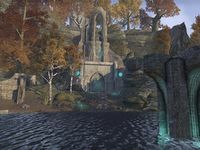 Vahtacen is an Ayleid ruin in eastern Cyrodiil, between Drakelowe and Farragut Keeps, containing undead. The ruins swarm with skeletons and wraiths. 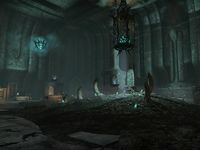 A powerful lich called The Faceless is found here. 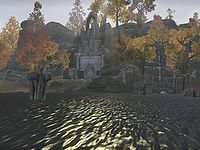 Vahtacen also appeared in Oblivion. 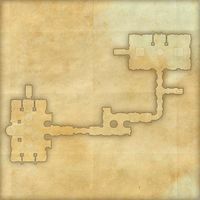 Update 20 added Harlun's Outpost, a fort which overlooks Vahtacen from the west. This page was last modified on 21 January 2019, at 23:52.